It is extremely unusual and rare to see a natural gold crystal nugget from Australian. 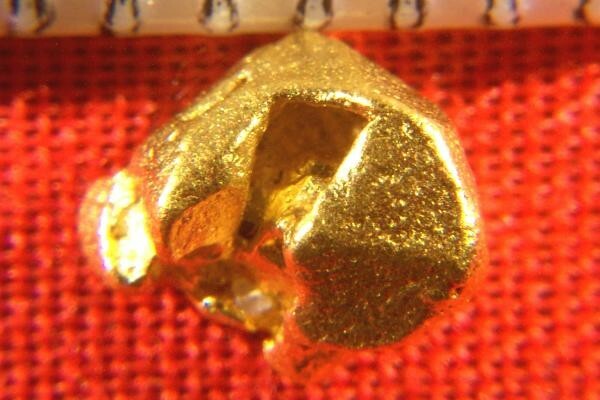 This is one of six gold crystal nuggets that were found by a gold prospector friend in Australia. I can't get any more so get one for your collection while you have the chance. It has multiple naturally faceted faces and an interesting structure. Also the color is stunning and the gold is very pure. It is really amazing to look at with a loupe. 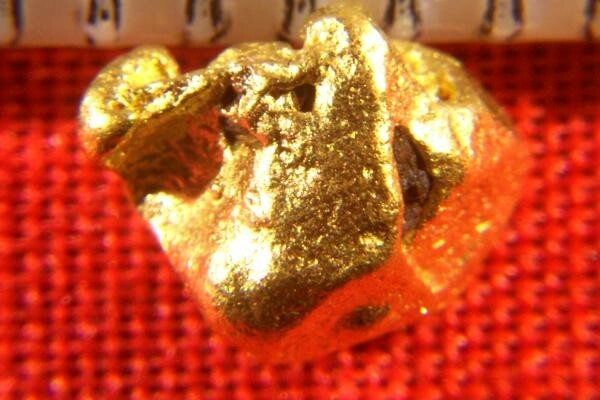 This gorgeous natural gold crystal nugget is over 1/4" (7 mm) long and it weighs 15.6 Grains (1.02 Gram).